Dawn reveals things magically. 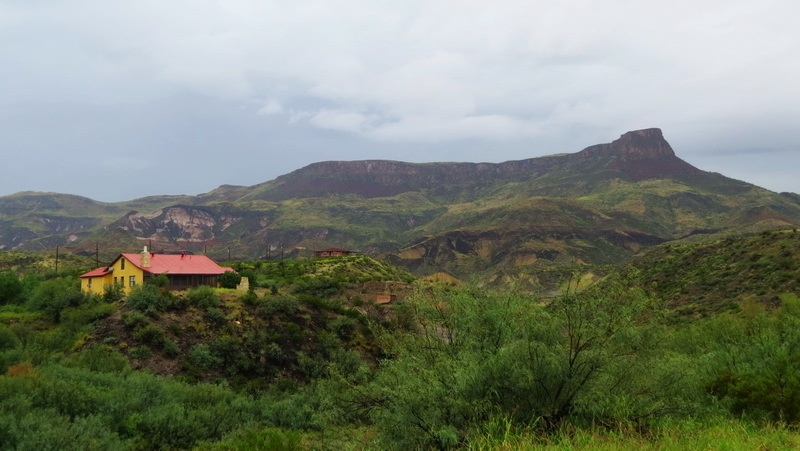 We’d pulled into the Lajitas Golf and Spa Resort while the morning sky was still black. In minutes the world came to light, filling the dining rooms’ towering glass windows. That and the strong coffee cleared my head. 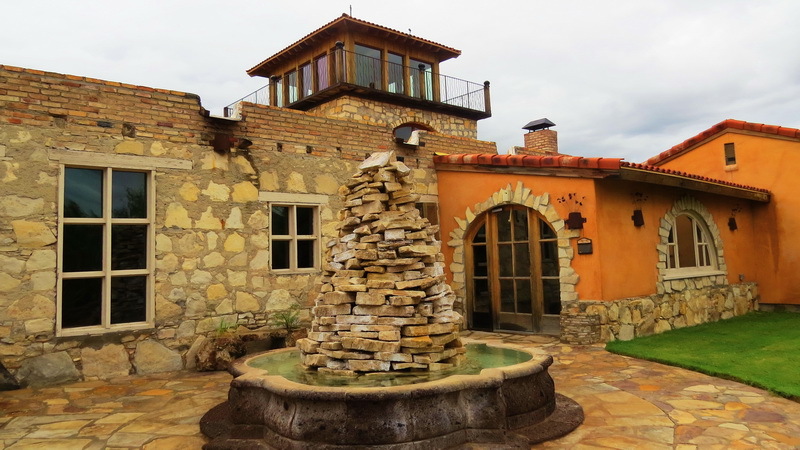 I’d just started to discover why Lajitas is considered one of the best Texas resorts. It was too early to check in but we dropped off our luggage and went off for a day of horseback riding and paddling the Rio Grande (more of that story here.) Dinner was accompanied by wedding festivities on the terrace. The bridal party was perfectly Texan – the groom’s men wore rhinestone studded jeans and the bride pivoted on embroidered cowboy boots! The ranch sits center stage. As we wandered the acres, the history of the place opened up. 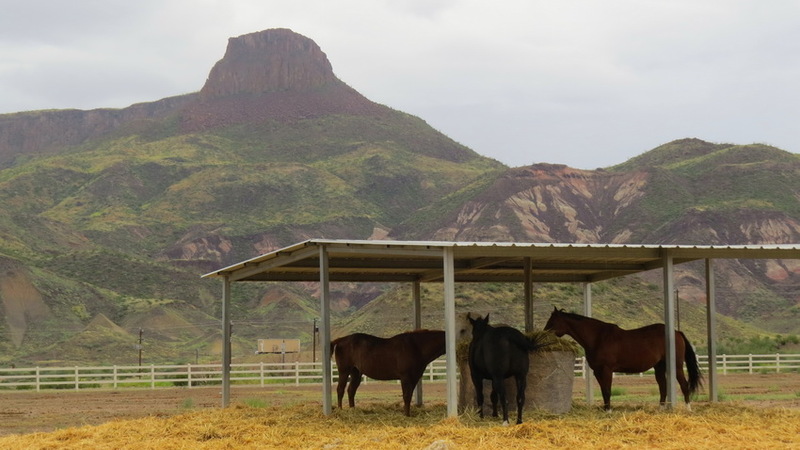 Close to the Terlingua community with its eccentricities, Lajitas offers a quiet and graceful contrast. There are shops and a spa of course, but I didn’t take the time to investigate. I wanted to be outside. The Lajitas resort is famous as a magnificent golf course rolling over hills and between mesas. There’s no wonder it’s award winning – voted the #1 most beautiful golf course in Texas by Golf Magazine, Best of Texas resorts for golf by Texas Outside and the Dallas Morning News considers it the # one public course you can play in Texas. 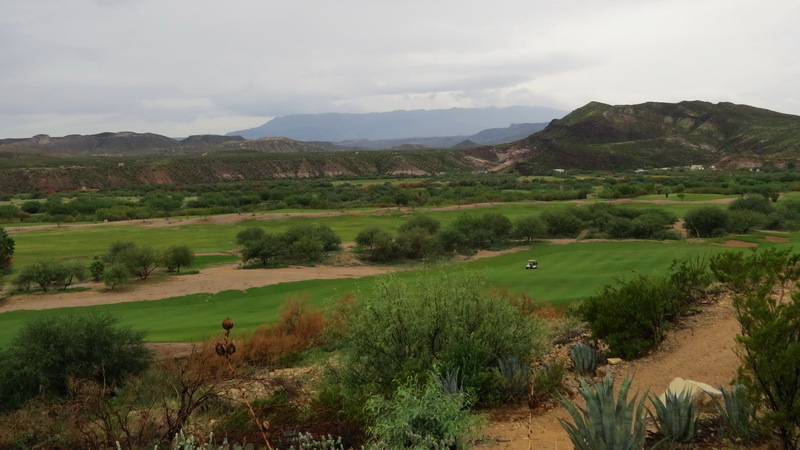 Once handicaps were mightily challenged – one hole lay across the Rio Grande in Mexico! Those days are gone now but the course still runs along the border and that meandering river. 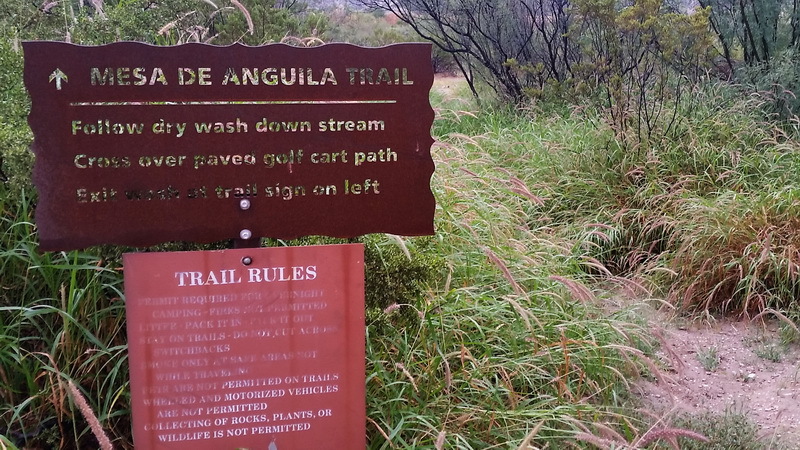 If it weren’t for a light rain, you’d be seeing pictures of me in a golf cart careening along the course trails. 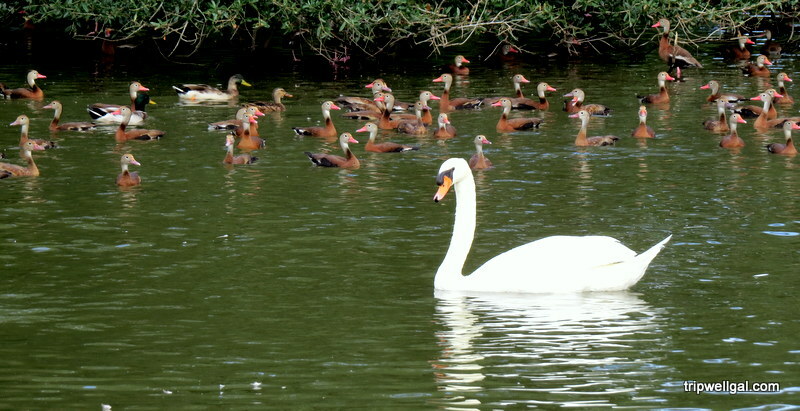 Along with trails galore, the resort sits close to a marked nature walk flush with local flora and fauna. 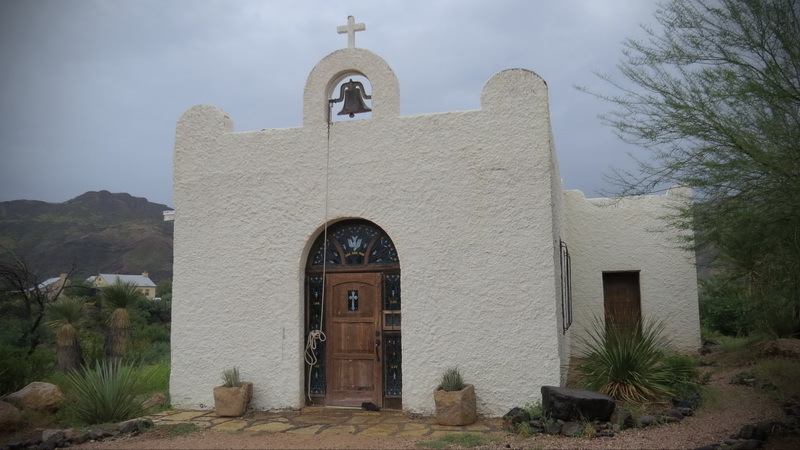 There’s a historic chapel filled with local artists’ work. 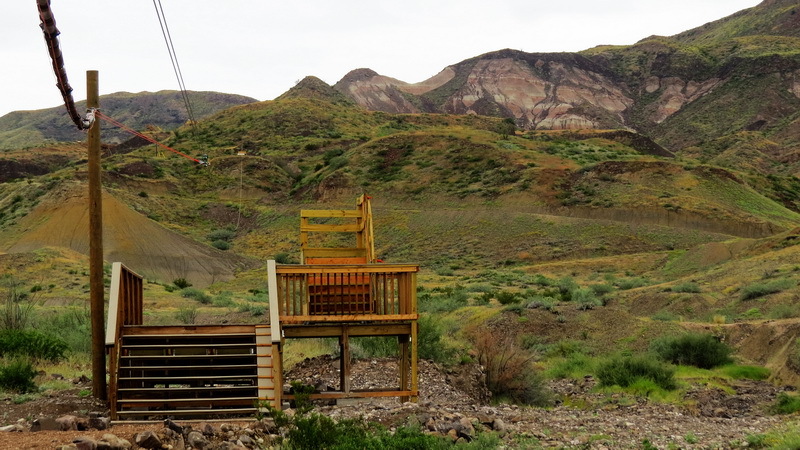 Nearby, a zip line sat ready, its lines looped up into the highlands. There are nine lines with three different courses for various levels and ages. 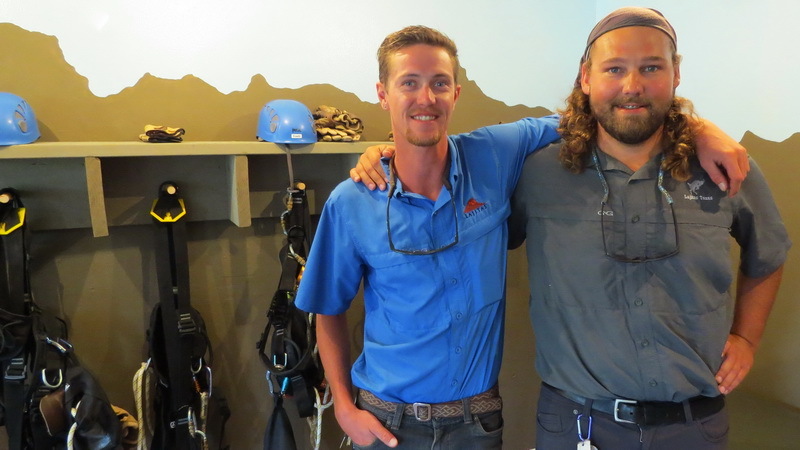 We met the guides who were getting ready for fall guests. Their shop also manages shooting activities: Five stand sporting cays, a cowboy action shoot full of Wild West arms, a combat course, and packages combining them. My favorite spot, the key to this being one of the best Texas resorts, is Black Jack’s crossing. Don’t let them tell you it’s just a golf shop – there’s much more inside. 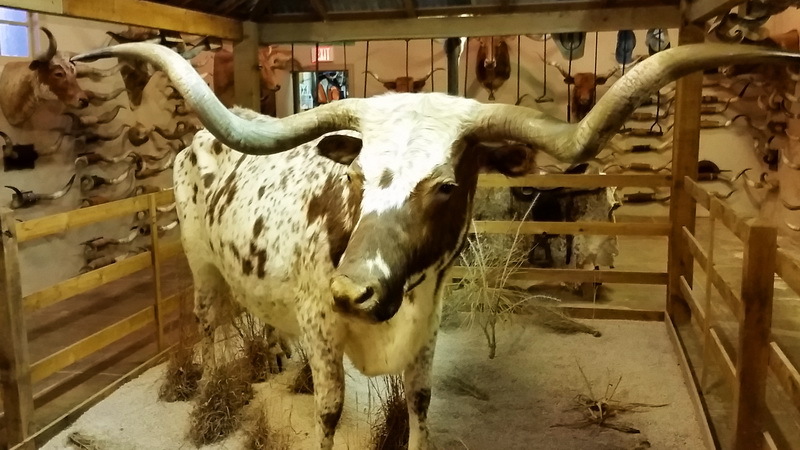 The owners manage one of the largest collections of Longhorn displays in the West. Rooms are full of the noble horns. Historic pictures, branding irons, log books, and a wide mural surround the golf shop amenities. I don’t play golf but would go out of my way to see this collection. 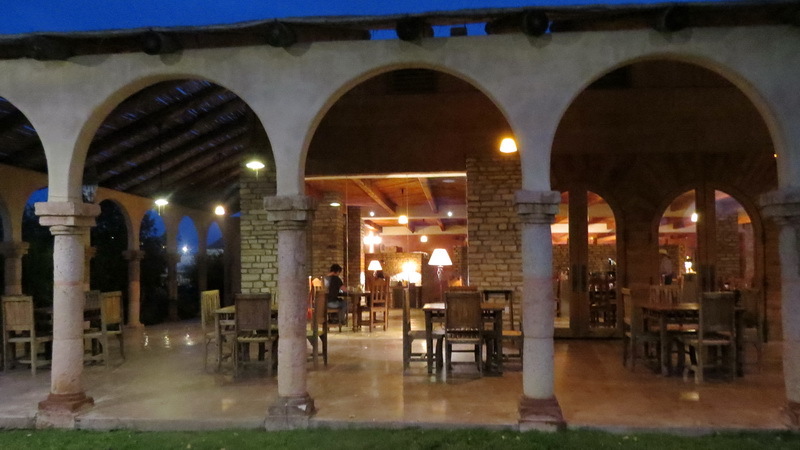 Another historic space that makes this one of the best Texas resorts is the Ocotillo event space. 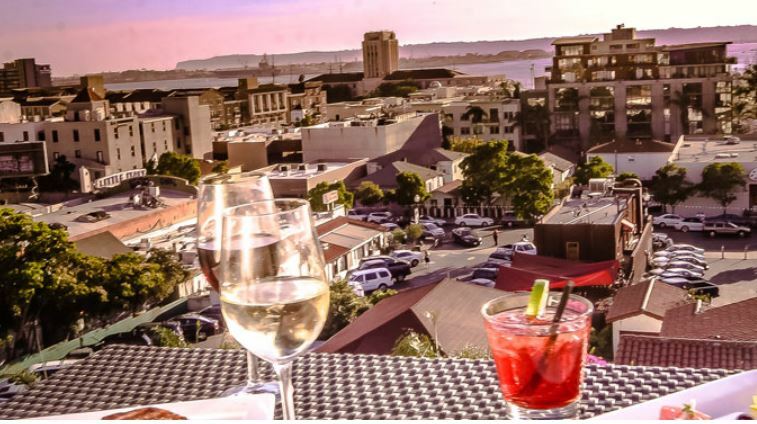 Once a fine dining restaurant featured in Gourmet magazine, now the two-story building hosts private events. It’s worth a stop to climb the tower and admire the views. There’s even a Texas state shaped pond! Last but not least are the stables offering equestrian adventures including sunset and sunrise trail rides. 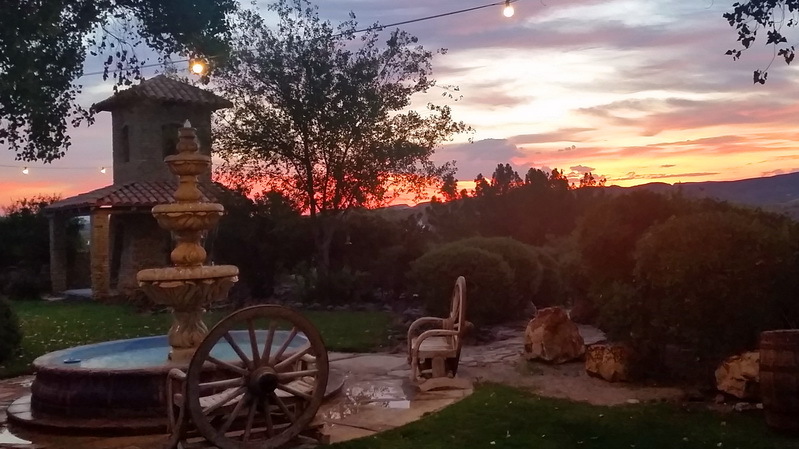 As we completed our visit, dining as the stars emerged, I felt closer to the heart of this land in Lajitas, definitely one of the finest Texas resorts. Getting there: There’s a small airport nearby but most visitors arrive by car. Wow! This place is so picturesque and stunning, Elaine! Excellent resort! It really is all that without being over the top. A true Texas destination. Such a beautiful area of Texas! If all you’ve seen is Houston or Dallas, it’s like another world along Big Bend. We love the authentic look of the buildings, and those views from the golf course are hard to beat! We’re dying to try the flight services from Dallas…just because. 😉 Thanks for sharing! So glad you enjoyed this. My first visit to Texas I really got the impression of how different the areas of the state are. Need to explore much, much more. To be honest, I was surprised by how lush and green everything looks! Having never been to Texas, I’d just assumed that everything was dusty, brown and dry, but it looks positively verdant! I was surprised by the green too. We were there in mid-October right after the rainy season and so lucky to see it like that. It looks and sounds like a beautiful resort – even if I’m not much of a golf fan (I wouldn’t mind giving the ziplines a go though!) The landscape is stunning, it would be the perfect place to relax for a few days. Definitely a nice spot to take day trips from or just relax. So kind Siddhartha, I hope you return and explore more. The resort looks wonderful, with so much to do, you’d never had to leave. And that golf course – that green is simply stunning! The region was popping after the late summer rains. So green and flowers too. Wow the grounds of Lajitas are absolutely stunning! I’d love to spend my day horseback riding before settling down to watch the moon rise with a glass of wine in hand. You know how to live, Brianna! Hope you visit one day. So glad you enjoyed this, Stephanie. I only hinted at how much there is to see and do there. This place looks incredible! 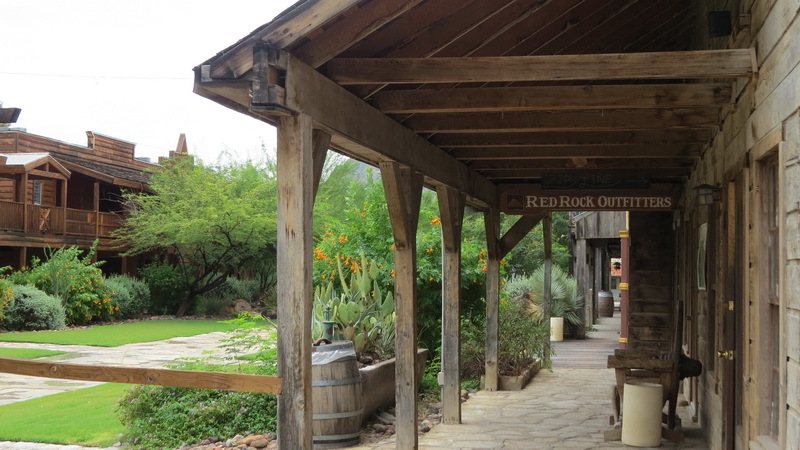 I love the mix of architecture, that perfect blend of upscale and old west. 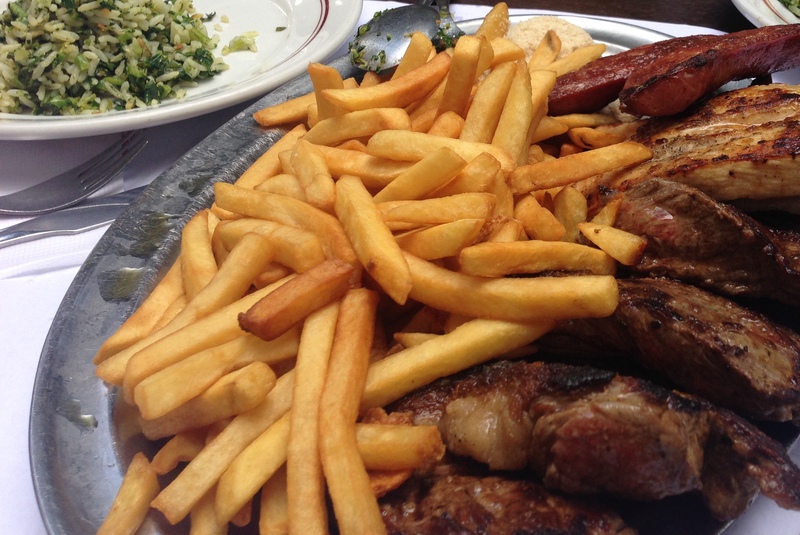 There also seems to be a perfect mix of activities, so even if you do not golf, you can find adventure or indulge your inner foodie. Would love to spend time here if we visit Texas in the future! It does look incredible! Having stayed at my first Texas resort just a few weeks ago, I can attest to the grandeur of such properties. I think the stables and horse rides would be the biggest hit for my family. I’d love to visit more Texas resorts myself and ride, ride, ride. 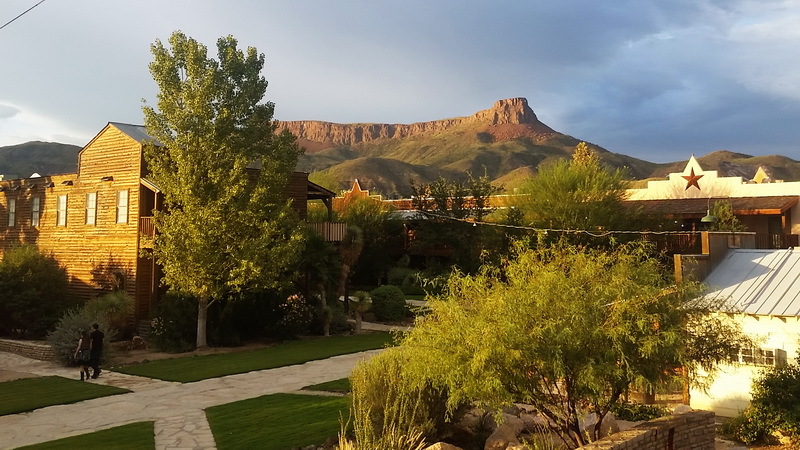 Wow, the Lajitas resort sounds incredible – so much history and a surprising amount of adventures options too – horseriding and ziplining as a way to keep you busy before check in? I’m in! Pretty fun, off the radar stop in Texas. This looks like a very authentic place to stay. The background looked beautiful. Will put this on the bucket list for my next trip to Texas. It’s definitely worth a planned vacation. Lajitas looks really pretty! 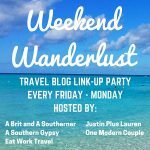 I can imagine it would be beautiful for a country themed wedding (love the sound of those embroidered cowboy boots!) zip lining sounds awesome too! Man, the USA are so diverse in landscape, I’ve never been to Texas and it looks so different from anything I’ve seen before. Would love to visit! 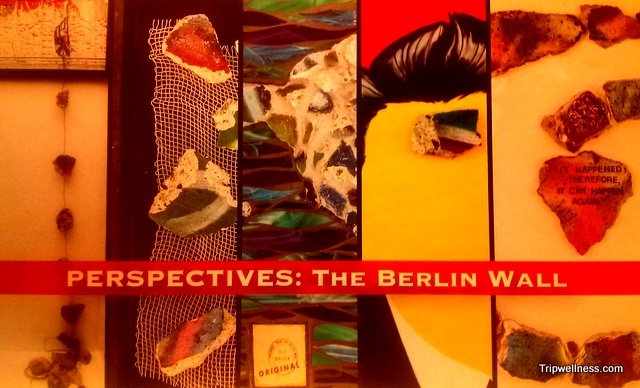 Diversity in landscape for certain – but so widely apart. I hope you get to visit for a long while. Such an amazing resort it has a nice design that is like a ranch. I am not a fan of golf but the other activities like the zip lining and the horseback riding are definitely my style. Definitely set up for more than golf. Lots of fun to be had. What a beautiful property! Love the fact that you can go horseback riding at the resort as the nature looks stunning. Would also love to see the little chapel, so enchanting! The big pull is getting out into that country – especially with Big Bend so close. The Daredevil in you would have a blast in the area.